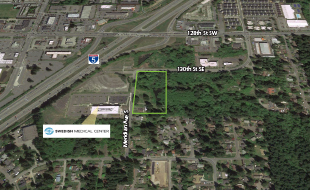 The property makes up 4 parcels totaling 4.33 acres. It is primarily rectangular in shape and fronts Meridian Avenue South on the west border and 130th Street SE on the North. 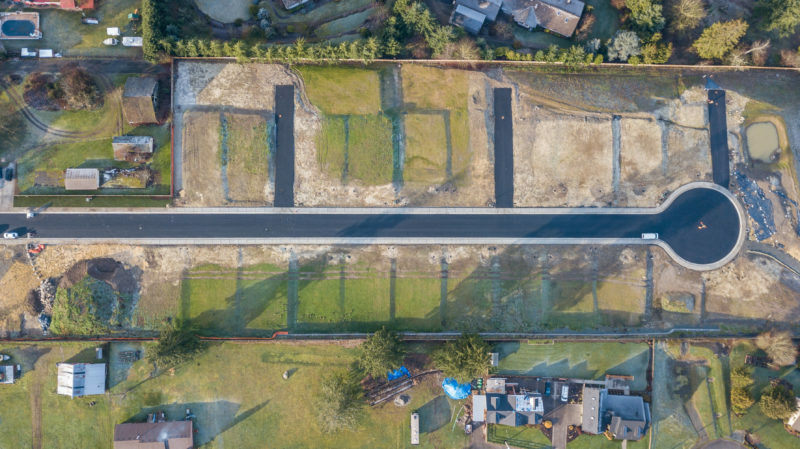 Both the south and east property lines border neighboring residential parcels. The property is relatively level and encumbered by a wetland and urban stream on the east side of the parcel assemblage. Consequently with the estimated size of the wetland and buffers needed from the stream, a buildable area is estimated at 2.75 acres. Townhomes (16-20 DU/AC): 44-55 units, Garden Style Apartments (20-24 DU/AC): 55-66 units, Apartment/Senior Housing (24-30 DU/AC): 66-83 units.